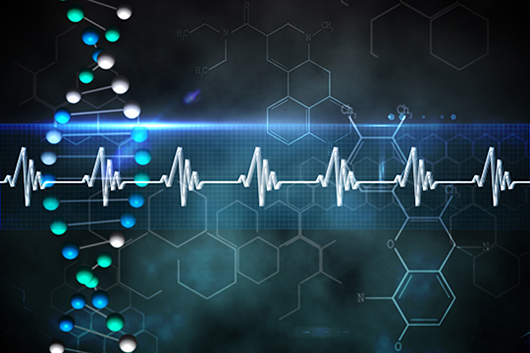 An international research effort headed by a team at the University of Michigan (UM) has linked more than 140 genetic variants and 150 protein-coding genes with an increased risk for developing atrial fibrillation (AF), a heart rhythm disorder that affects an estimated 2.7 to 6.1 million people in the United States and more than 30 million world-wide. The scientists carried out a genome-wide association study (GWAS) that analyzed genetic data from more than 1 million people, including patients with AF and healthy controls, to find which variants might play a contributing role. They hope that the findings will offer up new genetic insights into the biological processes that cause AF, which could support screening tests, and potential new targets for drug discovery and development. As a result of their work, the researchers have used the new data to build a statistical tool that can predict an individual’s risk for developing the disorder based on which of the genetic variants are present. “This polygenic risk score could be used in a clinical setting to help identify high-risk individuals, so that preventive measures can be taken before they develop AF, which can have fatal consequences,” commented research co-lead Cristen Willer, Ph.D., associate professor at UM department of internal medicine, and head of the university’s Willer lab. The GWAS data might help to increase our understanding of why and how AF is triggered and maintained, so that genetic screening of patients who already have AF could help clinicians decide on the best course of therapy.